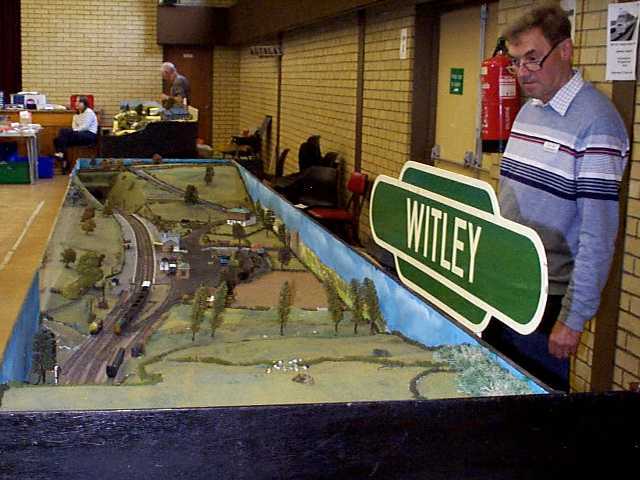 Witley Model Railway Club was founded nearly nineteen years ago, in April 1980, by a group of model railway enthusiasts who had arranged a meeting with a view to seeing whether such a venture was possible. From an exceptional response the Club was born. Its first home was a room over the sorting office of the old Witley Post Office, but within a year we were looking for larger premises. A new clubhouse was found in June 1981 and it is pleasing to say that almost 18 years later, the old Goods Office at Witley Station is still our home. Looking back, 1981 turned out to be rather an important year for the club. Apart from the move to new premises, two other important decisions were taken. The first involved arranging an exhibition in February 1982 in the Chichester Hall at Witley, where we have held an exhibition each year since, the other was the building of a portable 'N' gauge exhibition layout, based on Witley Station. 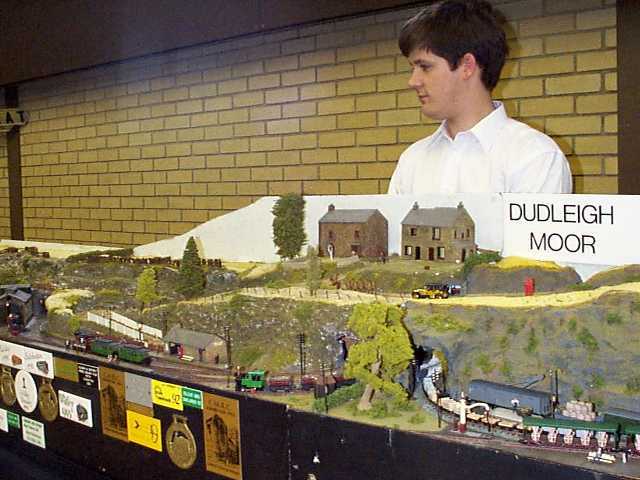 The first layout built by the Club was a N gauge model of Witley. This layout has been exhibited at various local exhibitions and is still in the Clubs ownership. Apart from the Clubs own exhibition, its first public appearance was to one of Farnhams exhibition in the mid 1908s. It will be making a return appearance at Farnhams 25th exhibition in 1999. Church Ash was our next layout, built this time in OO. The layout derived its name from Ashchurch in Gloucestershire but that is about all it had in common with the area. On that layout 'steam ruled', but Church Ash was modernised, renamed Buxdale and moved location to the Peak District and the Buxton area in general. The modernisation also included changing the motive power from steam to modern diesels. However, time marches on and Church Ash/Buxdale is now but a memory. Currently the club is in the process of building a new OO layout based on a Somerset & Dorset location. However, many may remember a German OO layout built by one of our members, Ken Harling, called Uberernst. Upon Kens sad death, the layout passed to the club and from time to time we still exhibit the layout at local exhibitions. Around 1989 we began work on a new OO-9 layout which duly appeared at our exhibition in February 1991. Named Dudleigh Moor, it is a completely fictitious layout, but has given endless hours of pleasure, both building and operating. In 1992 an extension was added to this layout, the construction of which included the ability to run the old and new layouts as one, or two individual layouts. The layout is still as popular as even and regularly attends exhibitions. It was at Swindon at the end of November 1998. For those interested in the still larger scales, we have an 'O' gauge layout of Malaga under construction. Todate all the baseboards have been built and most of the station trackwork has been laid. Our original completion date has proved to be rather optimistic, as there is still plenty of work to do. Finally, any model railway club needs a track of some type for its members to run their new purchases on, so during the past year we have managed to erect part of a test track, both in N and OO within the Clubhouse, thus providing our members with this facility. Each February, since 1982, the Club has arranged an annual exhibition at The Chichester Hall, Petworth Road, Witley, with at least seven or eight layouts exhibited together with a number of trade stands. Our 18th exhibition takes place at The Chichester Hall on Saturday 13th February 1999. Like any model railway club we are always on the look out for new members. Whilst most of our current members model in the conventional scales; N, OO & OO-9; the period, areas, railway company, even countries, vary considerably. If you are interested in joining, even if you feel that your modelling talent is limited, please feel free to come along any Thursday evening (just after 8pm - this gives us time to arrive!) to our Headquarters, The Old Goods Shed, Station Approach, Witley (almost next to the station buildings). Alternatively, for further information contact either our Chairman, John Robini (Email robinone@globalnet.co.uk) or Secretary Colin Grafham (Email witleymrc@halfacre.globalnet.co.uk).